The accommodations were a good value. We were looking for something clean and relatively inexpensive. Andrea Pension matched our expectations! 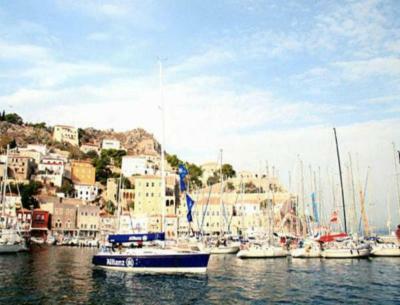 The location and proximity to restaurants/cafes and the port. 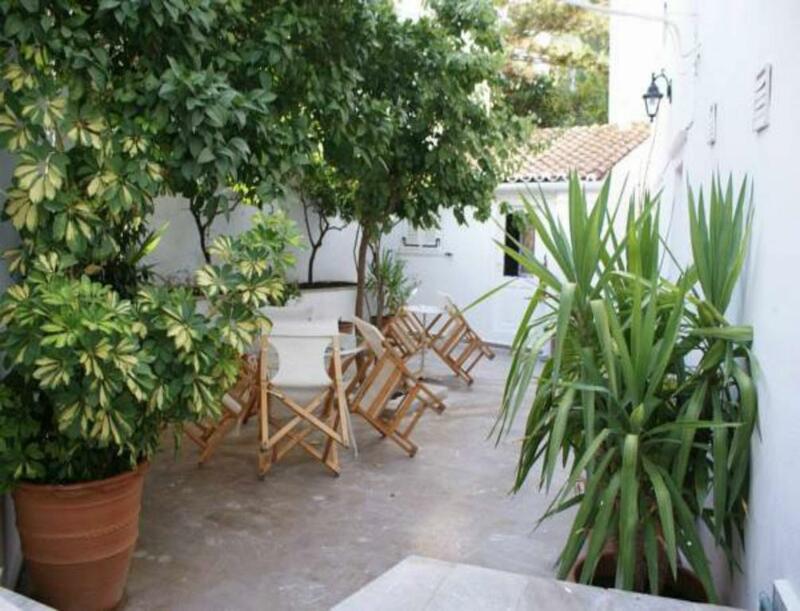 The rooms are located close to the busy village center and port, but already in the quieter part of the town. The room was very clean, with good room service. Interaction with the hotel manager was friendly and unproblematic (after an initial delay during check in). The room is sufficiently large for 2-3 travellers. Reliable Wifi. Very comfortable. Always clean and huge bed. Bathroom spacious, cupboard and desk in the room. Close walk to the port and restaurants and shops. Excellent choice, very clean, afortable, polite, near the center what else would anyone want?! I loved the courtyard and the building itself. Authentic Greek style, casual and comfortable. Felt like a stay in a Greek home rather than a hotel. Quiet and clean and not far from the port. The staff was polite. The cleaners changed tha towels every day, but not the sheets. 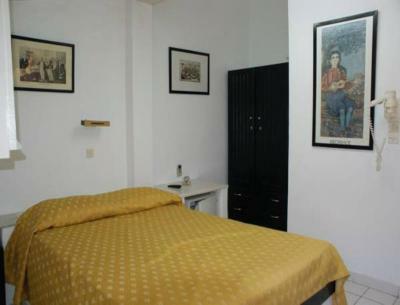 a lovely welcome, pristine cleanliness in the room and entire property, beautiful calm atmosphere. A plug in Mosquito repellent was provided and the air conditioning worked really well. Wi-Fi service was excellent. 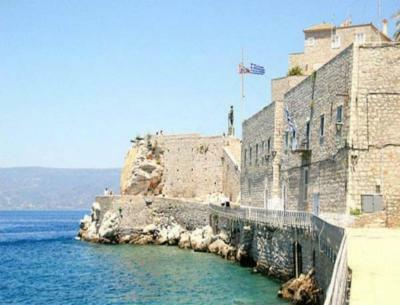 Pension Andrea is situated on the central Andrea Maiouli street in Hydra, approximately 3 minutes from the port. 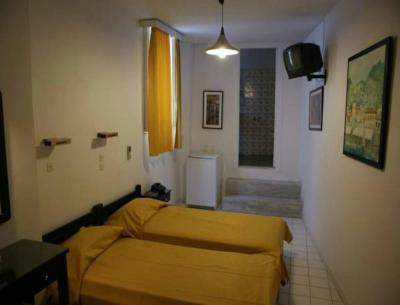 The affordable rooms are simply furnished and include private bathroom and TV. Wireless internet is provided in the entire hotel, without any charges. 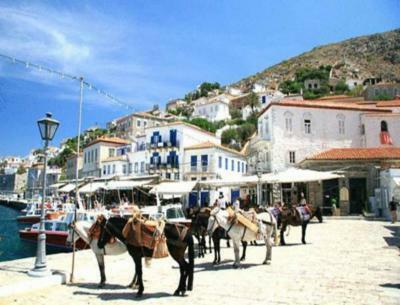 뀐 Located in the top-rated area in Hydra, this property has an excellent location score of 8.0! When would you like to stay at Andrea Pension? 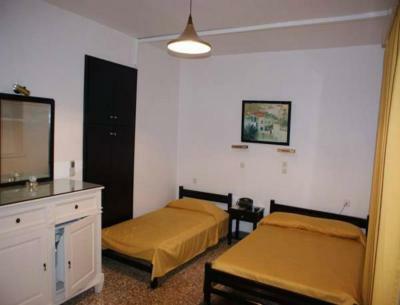 Simply furnished room offering free Wi-Fi, a fridge and TV. House Rules Andrea Pension takes special requests – add in the next step! Andrea Pension accepts these cards and reserves the right to temporarily hold an amount prior to arrival. Please note that this property has no front desk. Guests are kindly requested to contact the hotel prior to arrival for further details. Contact information can be found in the booking confirmation. Alternatively guests can ask for information at the nearby Angelica VIP Boutique Hotel. Very hard to find. Even locals don't know this place. You actually have to look for the Angelica Hotel and check-in there for Andrea Pension. Unfortunately this information is not given before. I had to walk around in the heat with all my luggage for a long time until I found the place! Was a bit loud due to guests sitting outside in the night. But that is not the hotel's fault! Wasn't as easy to find at first. Once I found Angelica Hotel it was simple. Comfortable and clean and good location. No Information when booking on bringing our luggage up on the mules, or the need of water shoes. The room was under the ground which was not mentioned in the room description. We was not informed about the construction work in the neighborhood. As a result we woke up at 8 o clock, while we are on vacation. The room was overpriced, considering the poor service quality and condition of the room. The room was located in a basement, with a window directly facing a wall, and very basic and old furniture. The bathroom is ridiculously cramped, with hardly any space to move and an annoyingly loud fan. It was charming. The staff were friendly. There was nothing to dislike. I’d love to stay there again. The location is great! The outdoor part is very nice! The wifi was surprisingly fast! They said there is a Wi-Fi but it's not the Hotel's Wi-Fi. We only found one for free and that one's speed was very bad and only connects in certain parts of the room. The room was very small. Also there is no table to see where is Andrea Pension. You need to go to the hotel next to it to get the key. The room and the bathroom were very clean. The location is good. Quite a few steps with no handrail. Marble steps up to my bathroom with no handrail I thought could have been cause of an accident. But everything else was truly lovely.